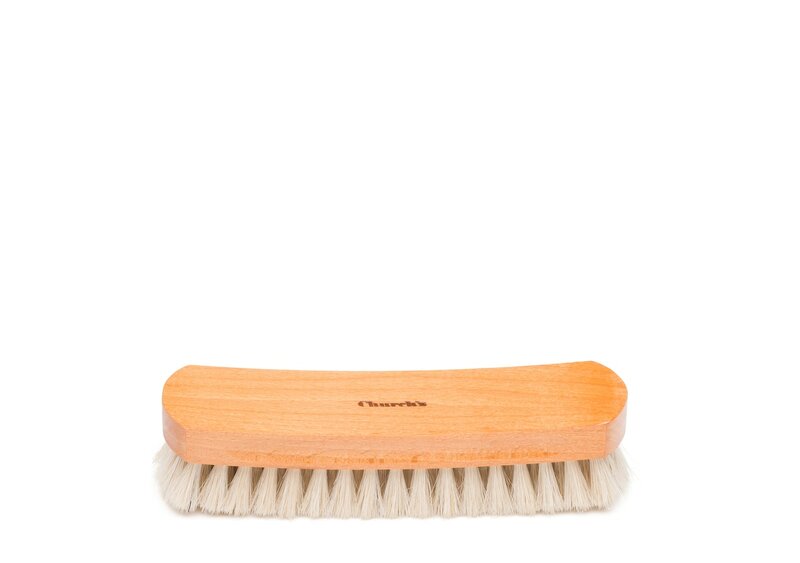 • Clean bristles with warm water and liquid soap to remove residue before using with another cream, wax or polish. 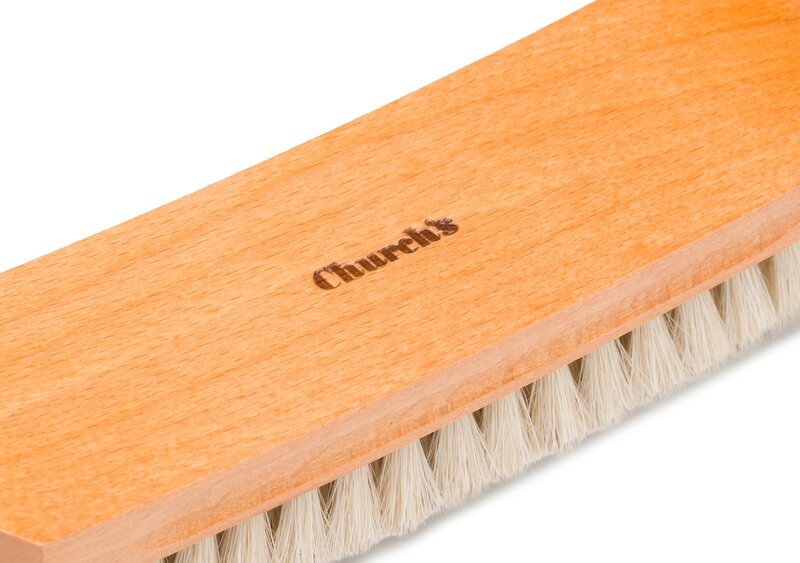 Buff polishes and creams into leather uppers using this ergonomic beechwood-handled brush. 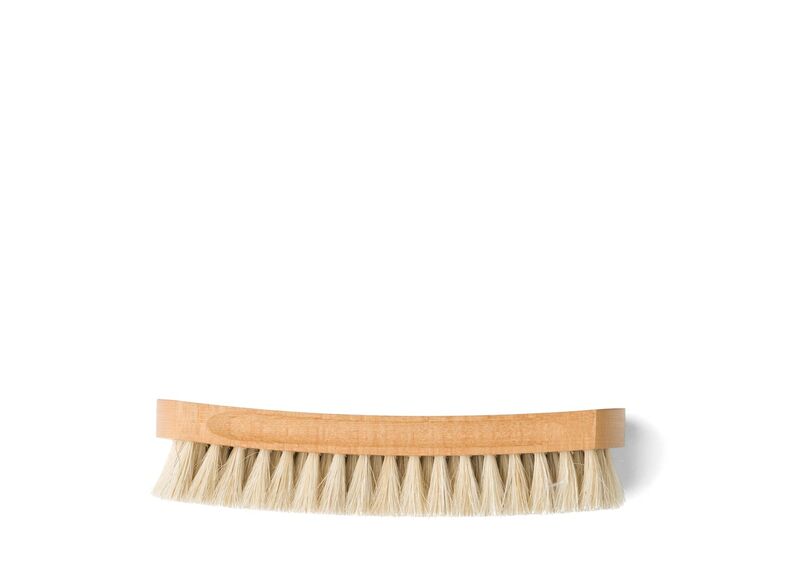 This larger sized horsehair brush boasts long, soft horsehair bristles which allow for larger strokes when buffing, resulting in optimal shine. Use as a finishing brush after applying products with the applicator brush or smaller upper brush. To use: after applying product to the upper using the small horsehair brush or applicator brush, buff the shoe in long, firm strokes to create a smooth, even shine.